The Schoenbrunn Palace Orchestra is a highly professional and traditional Viennese chamber music orchestra, successfully playing since its foundation in 1997. 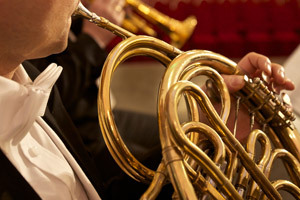 It consists of well known musicians brought together from different great Viennese orchestras. From the opera "Le Nozze di Figaro" KV 492, Figaro's Aria : "Non piu andrai, farfallone amorosa"
From the opera "Le Nozze di Figaro" KV 492, Cherubino's canzonetta: "Voi che sapete"
From the operetta "The Gypsy Baron" (1885), Barinkay's aria: "Als flotter Geist"